CHICAGO (Reuters) - Smithfield Foods, the world's largest pork producer, has established a separate bioscience unit to expand its role in supplying pig parts for medical uses, with the ultimate goal of selling pig organs for transplantation into humans. "Our bread and butter has always been the bacon, sausage, fresh pork - very much a food-focused operation," Courtney Stanton, vice president of Smithfield's new bioscience unit, told Reuters in an exclusive interview. “We want to signal to the medical device and science communities that this is an area we're focused on - that we're not strictly packers," she said. Smithfield, the $14 billion subsidiary of China’s WH Group <0288.HK>, in its first move has joined a public-private tissue engineering consortium funded by an $80 million grant from the U.S. Department of Defense. 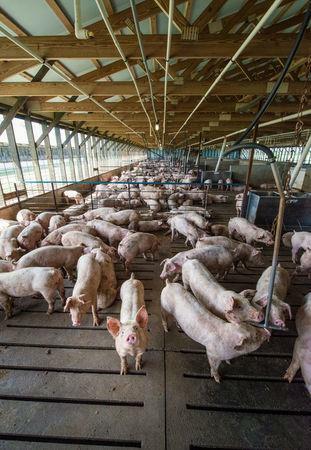 Smithfield is the only pork producer, joining health-care companies including Abbott Laboratories , Medtronic and United Therapeutics Corp .
"It's just a huge potential space, and to be at the leading edge and focused on building those relationships is critical,” she said. Prior efforts at pig-to-human transplants have failed because of genetic differences that caused organ rejection or viruses that posed an infection risk. Swiss drugmaker Novartis AG folded its $1 billion xenotransplantation effort in 2001 because of safety concerns about pig viruses that could be passed to humans. Genome pioneer Craig J. Venter’s Synthetic Genomics Inc has been working for two years with United Therapeutics on editing the pig genome and mixing in human cells to overcome the complex issues involved in immune rejection. "It's not like changing a couple genes and you've got it solved," Venter said. 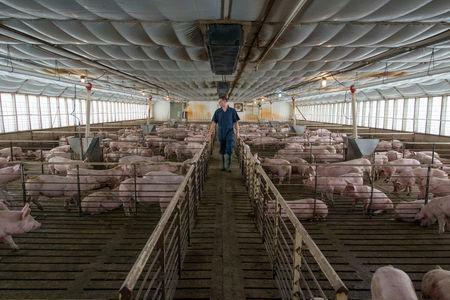 Stanton would not rule out breeding genetically modified animals, but said Smithfield's first ventures will likely involve whole pig organs that go through decellularization - a process in which existing cells are washed away and replaced with human cells. Church welcomes the involvement of a big pork producer. "Even though we've got companies like eGenesis that would make the first pigs, you still need someone who will breed them and do it to scale," he said.